Audi and Airbus have been given permission to test flying taxis in the carmaker’s hometown of Ingolstadt, Germany. The German government has signed a letter of intent that enables the two companies to develop and test an autonomous flying taxi, which aims to remove congestion from urban streets. Audi and Airbus, in collaboration with Italdesign, showcased an idea of what the transport could look like at the Geneva Motor Show earlier this year. The concept included an ultra-light, two-seater passenger cabin that could be attached to a car or a flight module. 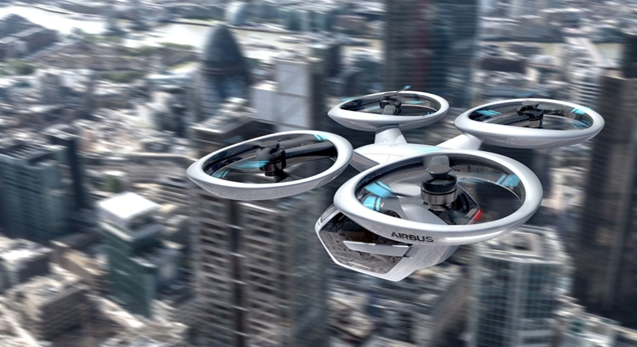 The race is on to develop autonomous air taxis, with the Audi and Airbus concept joining several other innovations that are currently under development across the globe. Google is undergoing the regulatory process to launch its passenger-drone system in New Zealand and Uber is planning to introduce self-flying taxis in the cities of Dallas and Dubai by 2020. The decision to take to the skies to reduce the congestion in increasingly crowded cities makes a lot of sense. Yet these services are likely to be prohibitively expensive for many consumers, while concerns over safety could further limit uptake, with high-profile reporting of incidents involving self-driving cars impacting consumer opinions about autonomous technologies. The development of drone technologies is therefore much more likely to impact a larger group of consumers when applied to deliveries. The rise of online shopping plays a large role in the number of vehicles on the road, so therefore drone deliveries could not only improve efficiency in e-commerce, but also help dramatically reduce urban congestion. The speed offered by these services is likely to be appreciated by consumers and could offer a point of differentiation for brands with next-day delivery options now being increasingly common. According to Mintel research on Germany’s online retail industry, 29% of German consumers are members of Amazon Prime, meaning they can already enjoy unlimited next-day delivery from the retailer. Alongside investing in drone technologies for more agility in the future, brands may also want to consider how they can implement speedier deliveries to consumers before this technology is ready for mass application. For example, Dutch supermarket chain Albert Heijn has introduced bike deliveries to offer a 15-minute delivery service in Amsterdam.